Cats, dogs, and humans share one common characteristic -- they all require regular dental hygiene, examinations, and occasional treatment to maintain a healthy mouth. Cavities, gum disease, broken teeth, oral cancer, and other familiar issues can all plague your beloved feline. At the same time, it's important to note that cats also have an increased risk of certain dental and oral ailments. Here at Peninsula Dog & Cat Clinic, our Portland vet team has the skills and knowledge required to treat any and all issues presented. Gum disease eventually strikes approximately 85 percent of all dogs and cats, so this issue is by far the most likely threat to your cat's dental health. Food particles and saliva combine in your cat's mouth to form a sticky goo called plaque, which tends to cling to the outer surfaces of the teeth and gums. Bacteria feed on this plaque as it solidifies into a hard, rough substance known as tartar. Unfortunately, the bacteria don't stop at this food source -- they continue to work their way into the teeth, gums, and jawbone, causing cavities, tooth root infections, bone loss and painful abscesses. Your cat may even lose his teeth, which makes eating (and thus proper digestion and nutrient absorption) difficult. Other dental conditions seem to affect cats much more frequently than dogs. One of the most well-known issues is tooth resorption, sometimes referred to as "cat cavities" even though the condition actually has nothing to do with dental caries. Up to 67 percent of all cats must contend with this condition, which is actually one of the largest reasons for tooth loss. No one is completely sure what causes tooth resorption, although oral inflammation, autoimmune reactions, and changes in pH level may all play a role. 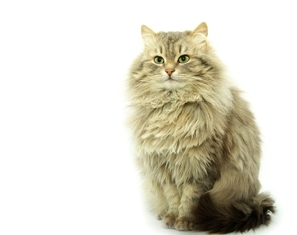 The condition can cause your cat a great deal of pain and seriously interfere with his ability to eat. Feline stomatitis, an agonizing inflammation of the gum tissue, is another feline oral problem -- as are chipped canines, which expose the sensitive pulp tissue underneath to painful stimuli and damaging bacteria. While you can reduce the severity of plaque buildup by learning how to brush your cat's teeth with a feline-friendly toothpaste (or feed him a bacteria-killing mouthwash), professional cleaning by our Portland veterinarian is the only way to remove stubborn tartar accumulation above and below the gum line. Regular evaluations also permit our Portland veterinarian to check for oral cancer and any tooth damage or other oral conditions that require treatment. We may recommend extractions for cases of tooth resorption. Stomatitis may be treated with aggressive dental hygiene and anti-inflammatory therapy, while some damaged canines may be saved instead of extracted. Contact Peninsula Cat & Dog Clinic today to schedule an initial evaluation.